A study of the years 1993 through 1996, reported in The Journal of the American Medical Association, found that 6545 injuries to jockeys occurred during official horse races in those years. Anna E. Waller, et al., Jockey Injuries in the United States, Journal of the Amer. Med. Assoc. 1326, 1327 (2000). To help deal with these injuries more quickly and safely, many racetracks across the nation have requested that jockeys voluntarily submit their medical information to the track before races. Jeffrey McMurray, Keeneland Mandates Jockey Medical Information, Bus. Wk., Apr. 15, 2010, available at http://www.businessweek.com/ap/financialnews/D9F3HJJO1.htm. This information is compiled in the Jockey Health Information System, in operation since 2008. Id. In this way, medical personnel at the track are able to quickly determine any pertinent medical conditions, allergies, etc. in order to safely treat jockeys at the track. Recently, Keeneland Race Track in Lexington, Kentucky announced that submission of jockey medical information is now mandatory at the track prior to entering a race. Id. While numerous tracks make such submissions voluntary, Keeneland is the first track to mandate it. Id. However, since Keeneland's track physician, Barry Schumer, estimates that prior to the mandate approximately 95% of jockeys submitted their medical information voluntarily, it seems that making this a requirement will create no significant problems with compliance. Id. The most significant concern with such a requirement would likely be privacy issues if some jockeys do not wish to provide certain medical information. Such privacy issues are protected by this system, however. The Jockey Health Information System can only be accessed with an identification code by medical professionals. Id. With such a high number of injuries being incurred by jockeys on racetracks and significant compliance already, mandating submission of medical information is a move in the right direction regarding jockey safety. With success stories already arising from access to this reporting system, other tracks are likely to follow Keeneland's lead and make submission of jockey medical information a requirement. But jockeys should be aware that this is a new requirement that may be catching on nationwide. 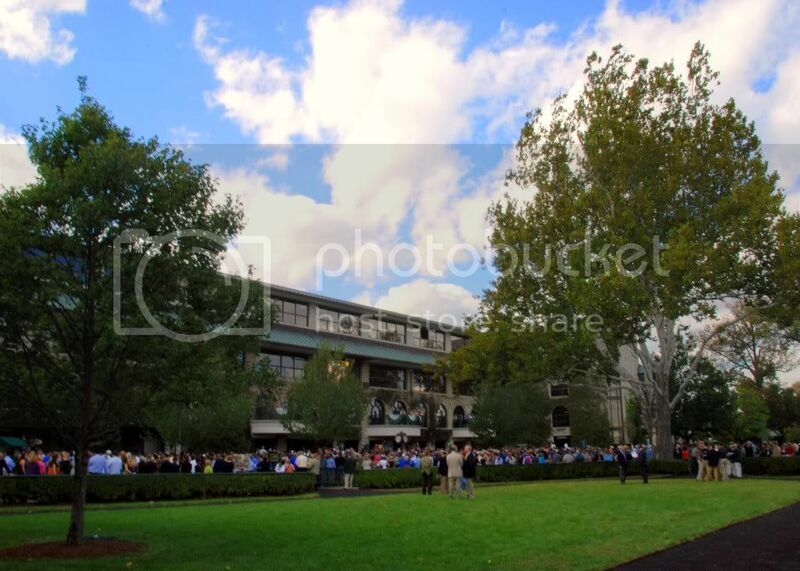 They will need to determine whether reporting their medical information is voluntary or mandatory at a particular track prior to racing there and deal with any problems they might have with this beforehand, so as not to be prevented from racing. Disclaimer: The following post reflects the views of the author and not that necessarily of KJEANRL. Governor Beshear's slot plan was not received well by the House or Senate. House Speaker Greg Stub filed a competing plan shortly after receiving Beshear's, which would spend the tax revenue from slots on a massive school construction program, instead of helping to erase the shortfall in the next two years budget, as Beshear had proposed. Janet Patton, Beshear Slots Plan Gets Tepid Reception, Lexington- Herald Leader Jan. 21, 2010, available at http://www.kentucky.com/2010/01/21/1104634/beshear-slots-plan-gets-tepid.html (last April 2, 2010). 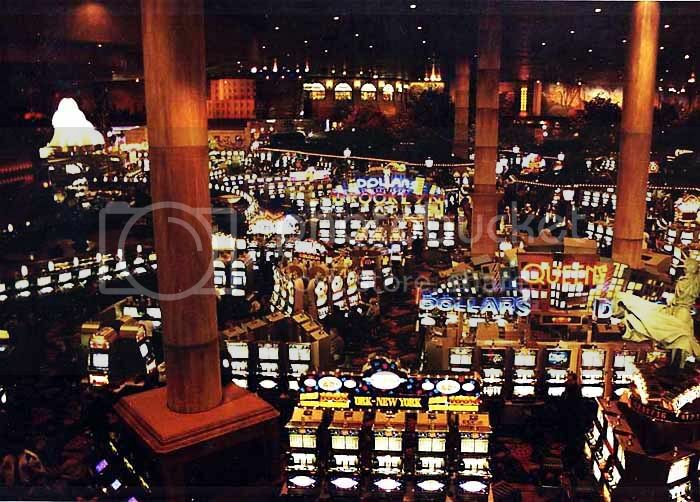 House Democrats have caucused to get support for Beshear's proposal, which would allow racetracks to add electronic slots under existing lottery laws. Id. However, although no official vote was taken, it appears that there was not much sentiment in favor of Beshear's bill, with one Representative calling the plan "delusional". Id. Stumbo said of his own competing bill "over a billion dollars worth of construction… best thing we could do for the budget is create jobs all over the state". Id. Stumbo said in his bill anticipates that 400-500 million in state tax revenues will be collected from slots over the next two years when all facilities are fully up and running. Id. Beshear said temporary slots could be up and running within six months, and projected 295 million in tax revenues for the first 18 months of slots. Id. Beshear's plan also takes into account the new casino's in Ohio, which is estimated to cut revenues at Turfway Park by 40%. Id. The horse industry seems to be very supportive of Beshear's and Stumbo's proposals, in a large part because the horse industry is facing significant competitive challenges. Id. However, while seemingly supporting both Beshear and Stumbo's bills, many in the horse industry are willing to talk with others proposing plans in an effort to help the struggling industry, and it seems that slots may be the best way to do this. Id. 1104634.html. Governor Steve Beshear's bill would place electronic slot machines at racetracks in accordance with Kentucky's present lottery statutes. Id. Beshear says his proposal would generate $295 million in tax revenue within its first 18 months. Id. Keeneland spokesman Jay Blanton said of the plan, "We appreciate the governor's strong and continued support for the state's signature industry, which is facing significant competitive challenges." Id. However, a recent House democratic caucus revealed little enthusiasm for the bill; it was described as "delusional" by State Rep. Mary Lou Marzian. Id. House Speaker Greg Stumbo, who asserted that there is "no sentiment" for Beshear's proposal, is pushing his own competing plan. Id. Stumbo claims that his proposal would generate $400-$500 million in revenue within two years, which would then be spent on a school construction project in an effort to boost Kentucky's budget by creating jobs. Id. While both bills suppose that gambling can be expanded under current lottery laws, a third plan, approved Jan. 20 by a Senate committee, demands an amendment to Kentucky's constitution to allow gambling to be expanded. Id. As a proponent of this approach, Senate President David Williams is skeptical that bills like Beshear's, operating under present lottery statutes, could pass in either the House or the Senate. Id. Ultimately, though, Williams' proposal has not quelled the concerns of the horse industry. Id. Blanton remarked, "…our concern about a proposed amendment remains the same: our challenges require immediate relief; any proposed amendment that we've seen thus far would, at least, take years to afford any assistance to the industry. That hasn't changed." Id. Republican Senator Damon Thayer called off a committee vote on his proposed constitutional amendment on January 13. Janet Patton, Senator Calls Off Committee Vote on Gambling Amendment, Lexington Herald-Leaser, Jan. 14, 2010, available at http://www.kentucky.com/news/state/ story/1094981.html (last visited Jan. 17, 2010). His proposed amendment, if passed by the full Senate, would allow video lottery terminals in up to seven counties that have racetracks, but the racetracks would have to compete for this license. Id. This bill was expected to pass the Senate State and Local Government Committee; however, it was unlikely to pass a floor vote by the full Senate. Id. Thayer believed that delaying the bill would give him more time to gain additional support for his bill. Ron Mitchell, Thayer Delays Committee Vote on Gaming Bill, January 14, 2010, available at http://www.bloodhorse.com/horse-racing/articles/54796/thayer-delays-committee-vote-on-gaming-bill (last visited Jan. 17, 2010.) Thayer said that he "wanted to see if there is anyone else that is willing to come to the table." Id. Many leaders and racetracks of the horse industry have opposed Senate Bill 21 because "it does not guarantee that tracks get expanded gambling." Janet Patton, Senator Calls Off Committee Vote on Gambling Amendment, Lexington Herald-Leaser, Jan. 14, 2010, available at http://www.kentucky.com/news/state/story/1094981.html (last visited Jan. 17, 2010). But, Thayer said he has heard from a few "rank and file" horsemen that are disappointed with the horse industry opposing his bill. Id. Thayer explained that delaying the vote until later this month will hopefully translate into bipartisan support. Id. "Gambling Licenses are something of value to the people of Kentucky. A competitive bidding process is likely to result in higher fees to the state," Thayer explained. Id. Furthermore, he said that increased purses from the slots would bring more racehorses, which would generate revenue for the tracks. Id. Senator Ed Worley has said no Democrat will vote for Thayer's bill. Id. If Worley's statement is true, Thayer's bill will not pass because a constitutional amendment needs at least 23 votes in the Senate to pass. Id. Only time will tell if Thayer's amendment can gain enough bipartisan support to pass through the Senate. "Gambling", "Horse Racing", "racetrack gambling"
The following post was written by staff member Donald Smith. Kentucky has, in various forms, debated the legalization of gambling, particularly in the form of video slot machines at racetracks, for more than a decade. Beth Musgrave & Janet Patton, Beshear Wants Slots Bill by Winter, Lexington Herald-Leader, Nov. 5, 2009, available at http://www.kentucky.com/181/story/1006050.html?storylink=omni_popular (last visited Nov. 17, 2009). After Ohio residents passed a referendum on November 3, 2009, allowing casino gambling in four major cities, including Cincinnati, the efforts to legalize gambling gained momentum. Id. Governor Beshear issued the following statement after the referendum passed: "Clearly, the time to act on expanded gaming is now.… Ohio citizens are going to reap the benefits of thousands of new jobs and millions of dollars in tax revenue. Ohio's decision reinforces the urgency to pass the video lottery terminal bill I proposed earlier this year." Id. In addition to questionable popular support, the proponents of legalizing gambling have faced the criticism that the move can only legally be made through amendment of the state constitution, an argument that Governor Beshear labels as a stall tactic that cannot be tolerated as the Kentucky horseracing industry faces tough times. Id. 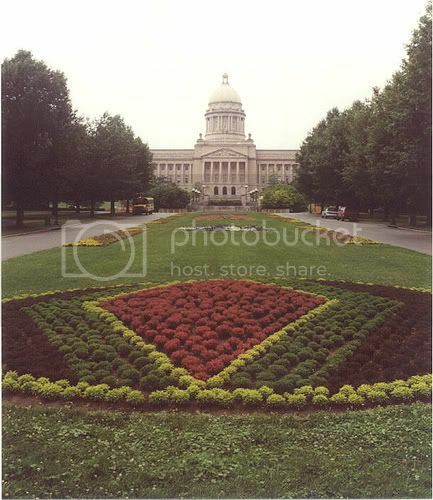 Although last term a bill passed the democrat-controlled House, but did not get out of committee in the Senate, Governor Beshear now predicts that the bill would pass both houses in 2010, after changes in membership. Ryan Alessi, Beshear: Slots Will Pass the Full Senate if Given a Chance, Bluegrass Politics, http:// bluegrasspolitics.bloginky.com/2009/11/17/beshear-slots-will-pass-the-full-senate-if-given-a-chance/ (last visited Nov. 17, 2009). Speaking of the impact on the horse industry, which would receive a cut of profits under the proposed bill, Governor Beshear stated: "In my opinion we must protect this industry. Why? Not because there are two to three rich guys in it. But because there are 100,000 hard working Kentuckians who work in that industry every day." Id. Only time will tell whether the bill will in fact pass the legislature, and if so, only the courts will tell if the bill passes constitutional muster. Alternative Gaming Revenue: Good for Kentucky’s Horse Industry? The following post was written by staff member Adrianne Crow. The horse industry is a vital part of Kentucky's economy. In fact, the industry is alone responsible for 80,000-100,000 jobs in the state. Kentucky Equine Education Project, Why Kentucky's Horse Industry Needs Support (2007), available at http://www.horseswork.com/pdf/why_to_support.pdf. However, this industry is currently threatened by increased competition from surrounding states that allow alternative gaming revenue. Because revenue from casino style gambling at racetracks boosts purses and breeding incentives, horses traditionally bred and run in Kentucky are now being taken elsewhere because of the opportunity to earn greater amounts of money. 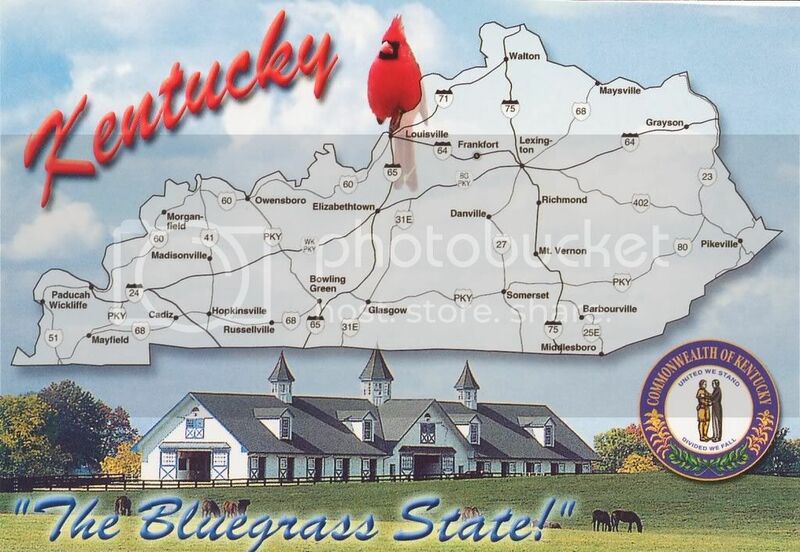 Kentucky currently has five thoroughbred racetracks in the state: Churchill Downs in Louisville, Keeneland in Lexington, Ellis Park in Henderson, Turfway Park in Florence, and Kentucky Downs in Franklin. Gregory A. Hall, Ky. horse tracks request fewer racing dates in 2010, COURIER-JOURNAL, Oct. 26, 2009, available at http://www.courier-journal.com/article/20091026/BUSINESS/910260343/Ky.+horse+tracks+request+fewer+racing+dates+in+2010. Kentucky tracks have already requested fewer racing dates for 2010 due to decreased revenue, and if things continue in the current fashion, it could mean the end of one or several of these historic venues. Id. Although the racing industry is suffering nationwide, several states have managed to avoid some of the problems that Kentucky is currently experiencing through the introduction of alternative gaming. According to statistics found in the American Gaming Association's 2009 State of the States report, 12 other horse racing states, including Indiana and West Virginia, allow patrons at the track to wager on video gambling machines, slot machines or other casino-style games. American Gaming Association, State of the States 2009: The AGA Survey of Casino Entertainment (2009), http://www.americangaming.org/assets/files/aga-sos2009web.pdf. This type of expanded gaming has allowed those states to increase purse sizes, attracting many of Kentucky's thoroughbreds to race at those locations rather than in Kentucky. The size of the purse that racetracks can offer directly affects the quality and quantity of horses that run at the track and the bettors and money that come in to the state. Comparing the purses at Kentucky's Turfway Park and Pennsylvania's Presque Isle Downs, it is clear that purses increased dramatically after the introduction of casino betting in Pennsylvania. Kentucky Horsemen's Benevolent and Protective Association, Inc., Understanding Kentucky's Horse Industry (2009), available at http://www.kyhbpa.org/resources/IndustryHandout.pdf. High purses also mean more jobs for residents of the state. Id. Additionally, many states have greatly increased purses for horses which are born in that state. See supraAmerican Gaming Association. This practice entices horse owners to move their breeding operation to certain states to ensure that their horses are eligible for the state-oriented prizes, thereby affecting Kentucky breeding farms which have experienced reduced stallion and foaling or broodmare income. Id. This past June during a special legislative session, Kentucky's House of Representatives passed the Video Lottery Bill which would have allowed slot machines at racetracks. John Cheves, Slots bill dies in committee, LEXINGTON HERALD-LEADER, June 23, 2009, available at http://www.kentucky.com/302/story/839602.html. However, the bill soon died in the Senate. Id. According to Senator Tim Shaughnessy, D-Louisville, the issue is not over: "[t]he reality is, history is on our side. This is eventually going to happen, whether it's done by an act of the legislature or put before the voters of Kentucky for a formal vote. It may be stopped today, but the issue isn't if this happens, it's when this happens." Id. According to Attorney General Jack Conway, however, it doesn't appear necessary to send the decision to Kentucky voters. 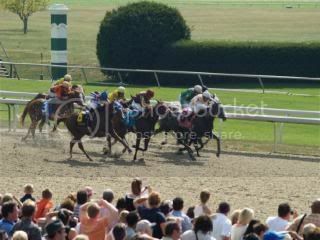 In an opinion issued by Conway in June responding to a request by State Representative Jody Richards, Conway found that the "General Assembly may authorize the Kentucky Lottery Corporation to establish, license, regulate and tax video lottery terminals at designated horse racing tracks under Ky. Const. § 226(1) without further amendment to the Kentucky Constitution." Video Lottery Terminals at Kentucky's Horse Race Tracks, Op. Att'y Gen. 09-004 (2009), http://www.law.louisville.edu/sites/www.law.louisville.edu/files/OAG09004.pdf. While this opinion is merely advisory and not legally binding, it represents a well-reasoned argument analyzing Kentucky's laws and furthering the idea that the General Assembly is permitted to make the decision on slots without putting it on the ballot, allowing them to more quickly respond to the urgent situation with Kentucky's horse industry. The bottom line is that horses help create and support jobs in Kentucky, and it is important for our legislators to support the industry that is so vital to our local economy. Ultimately, if Kentucky allows expanded gaming at the state's racetracks, it will increase revenues, thereby increasing purses and breeding benefits, and will help keep horses and jobs in Kentucky.